ST. GEORGE, Utah — Dixie Technical College received a surprise visit Saturday when a small plane landed at the site of the old St. George airport on the Black Hill. 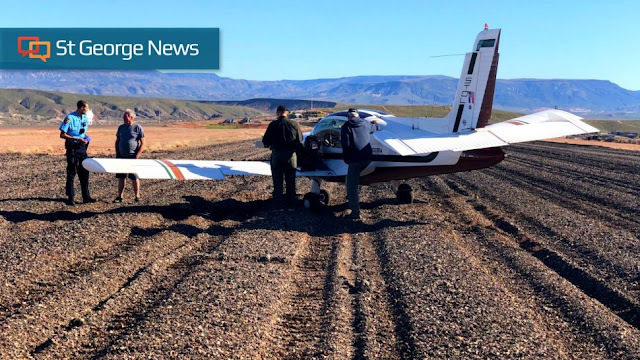 At approximately 5 p.m. firefighters and police responded to the area after a 911 call from Dixie Technical College reported seeing a small aircraft land on the runway, St. George Fire Capt. Brett Remund said. The pilot and one passenger were on board the Socata MS-893E Rallye 180 aircraft manufactured by French aviation company SOCATA. The pilot told responders he took off from Washington State and was following computerized navigation that showed the aircraft was in close proximity to an airport. When the pilot had a visual of the runway, he landed, thinking it was an operational landing strip. It was only after landing the pilot realized the mistake. The plane sustained a propeller strike during the landing, Remund said. As the prop hit the gravel during touchdown, it damaged the blade and disabled the aircraft. When the airport closed, the city had the runway ground up into rough gravel, Redmund explained, which wouldn’t necessarily be apparent to a pilot viewing it from the air. “To the pilot it probably still looks like a runway,” he said. There were no injuries reported and no further action was taken by police due the incident being deemed a misunderstanding on the pilot’s part. 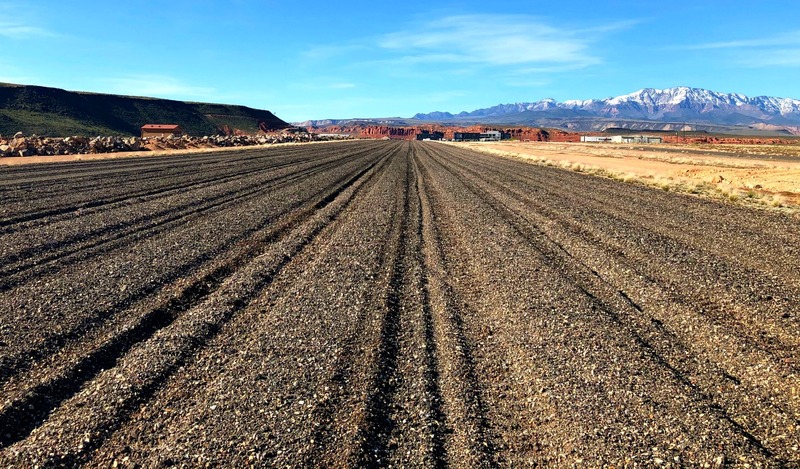 The original St. George Municipal Airport on the Black Hill was in use from the early 1930s to January 2011 when it was replaced by the new St. George Regional Airport. Since the closure, the location has been used for various activities, including drag racing, SkyWest Airline’s Mini Indy event and the occasional concert. The site is now the new home of Dixie Technical College and is slated to become Tech Ridge, a technology business park. Shouldn't there have been big X's on each end of the closed runway that you would clearly see from the air?